We all love an ocean view, right? Spend 4 nights in an Ocean View Room and marvel at the panoramic views of the azure Coral Sea from your own private balcony with this exclusive double room upgrade. Does packing make you stressed? With us it won’t! Enjoy return economy airfares and 7kg carry-on luggage included in the price. Need more bag space? Just ask our Holiday Experts! Start your days with a full stomach, ready to discover everything Cairns has to offer. Head down to Coral Hedge Brasserie Restaurant for a sumptuous full buffet breakfast each morning, with a selection of different breakfast foods and beverages. Nestled on 10 hectares of land and adjoining the world heritage listed Wet Tropics of Queensland rainforest, this awe-inspiring experience gives you the chance to see one of Australia’s best-known species up close and personal in its native habitat. Feast on this. During your stay, enjoy a night indulging in a delicious dinner at Coral Hedge Brasserie Restaurant & Bar. Choose between the Fire & Ice buffet or 3-course a-la-carte. Holidays end way too soon! Forget rushing around, trying to get everything packed— have a lazy breakfast, take a dip in the pool, walk along the beach and more. You’ve got until 12pm so make the most of it! Slip right into holiday mode with a welcome beverage at Coral Hedge Brasserie Bar. Making the most of your holiday straight away is easy with a drink in hand, so relax and sip away. Feast and save with 20% off food and beverage across the resort! 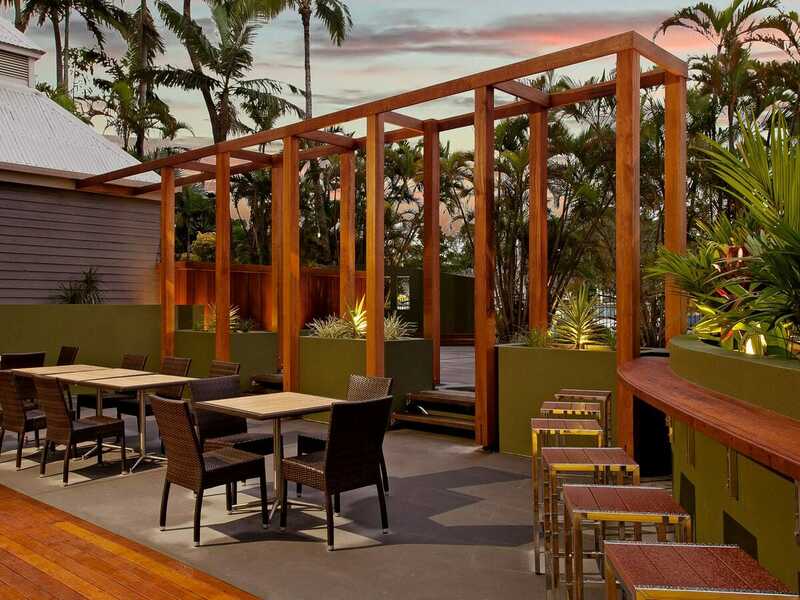 Get more out of your Queensland holiday and save each time you wine or dine at Rydges Esplanade Resort Cairns. Hiring a car for your Cairns holiday? Don’t stress about finding a safe place to park each night, we’ve got you covered (literally). Enjoy car parking each day in the resorts undercover car park. Check-in, upload and report home! With complimentary internet in your room, you can become the envy of all of your friends. Show off just how good your holiday is—whatever social platform you use, update it to your heart’s content. Step into 32sq. metres of luxury and embrace the contemporary vibes of your Ocean View Queen room! Complete with private balcony overlooking the Coral Sea and The Esplanade, this is the ideal place to people watch and let your cares float away on a breeze! Features include a plush Queen bed, Wi-Fi, air-conditioning, ceiling fans, access to 24-hour room service and more! Ocean View Queen rooms can accommodate up to 3 adults. Treat the whole gang to Tropical North Queensland splendour in your Ocean View Twin room. Boasting 32sq. metres of contemporary luxury, these rooms feature a separate bathroom, private balcony and sweeping views of the Coral Sea. Bedding comes in the form of 2 luxe Twin beds, there’s Wi-Fi access, air-conditioning, ceiling fans, 24-hour room service and more! Ocean View Twin rooms can accommodate up to 4 adults. 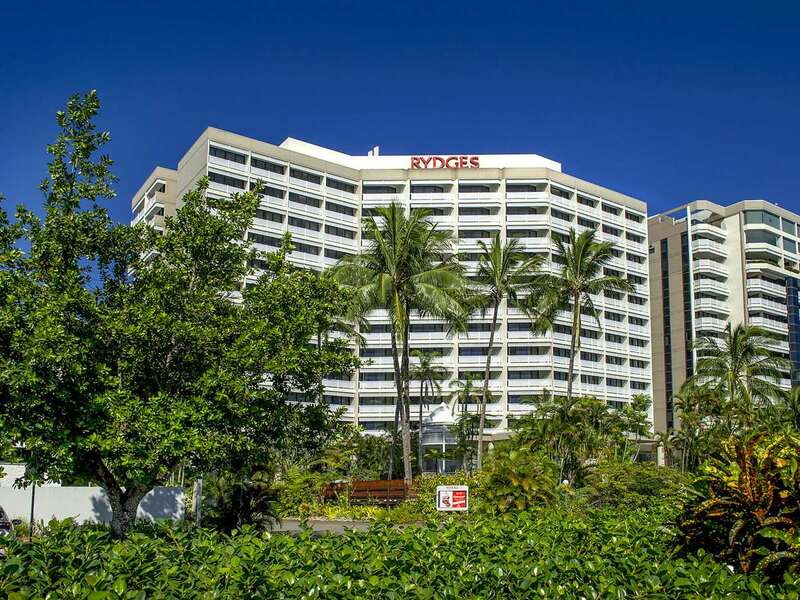 Situated in the heart of Tropical North Queensland, Rydges Esplanade Cairns Resorts offers contemporary accommodation in a convenient location. 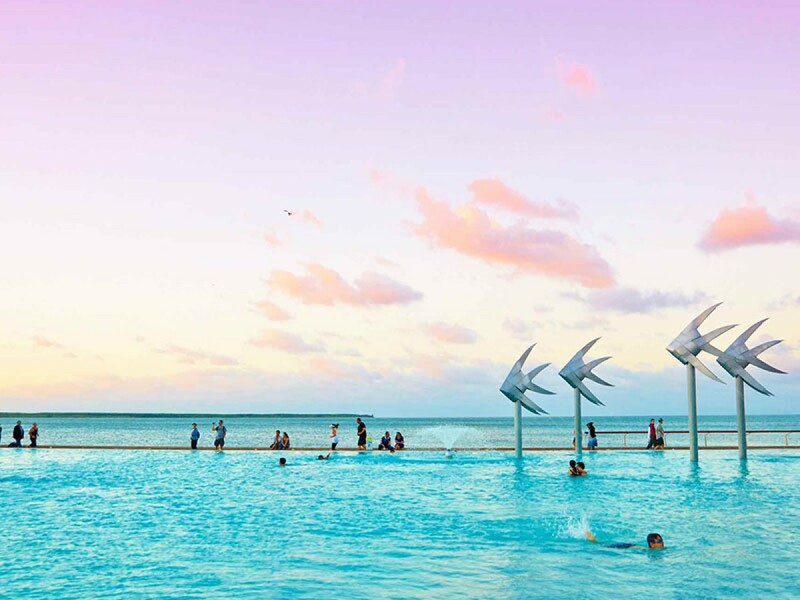 Surrounded by the buzz of Cairns’ busy Esplanade strip, you’ll find everything you need for a perfect Cairns holiday right at your door step. 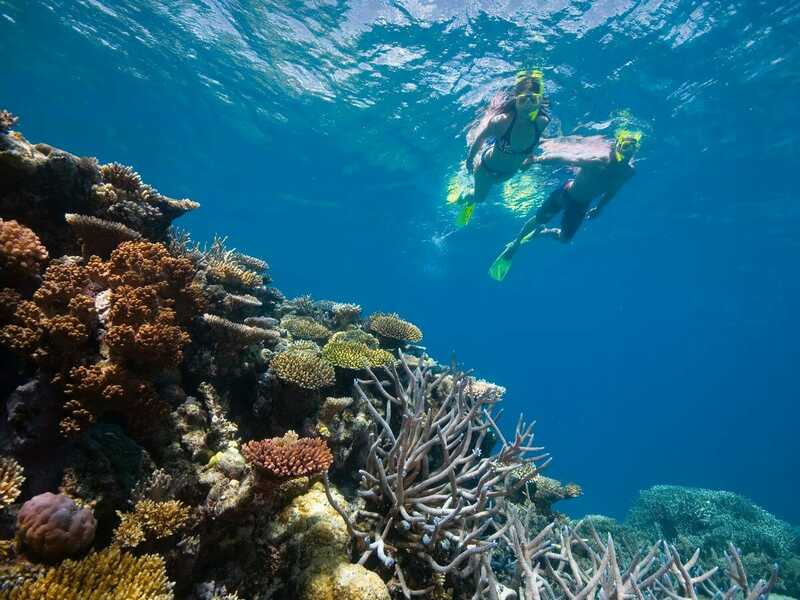 Iconic attractions, such as the Cairns Lagoon and the Cairns Night Markets, are all just a short walk from the resort. 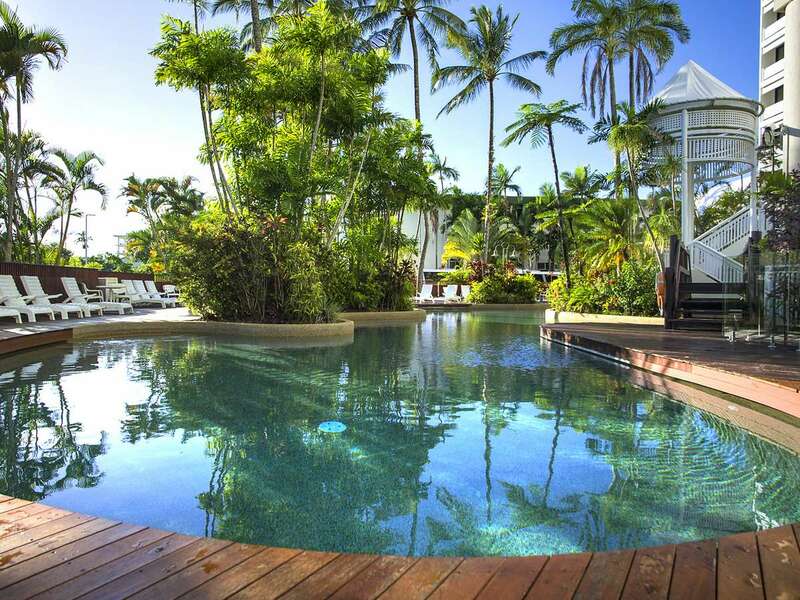 Getting there is easy too—the resort is a 10-minute drive from the Cairns Airport! 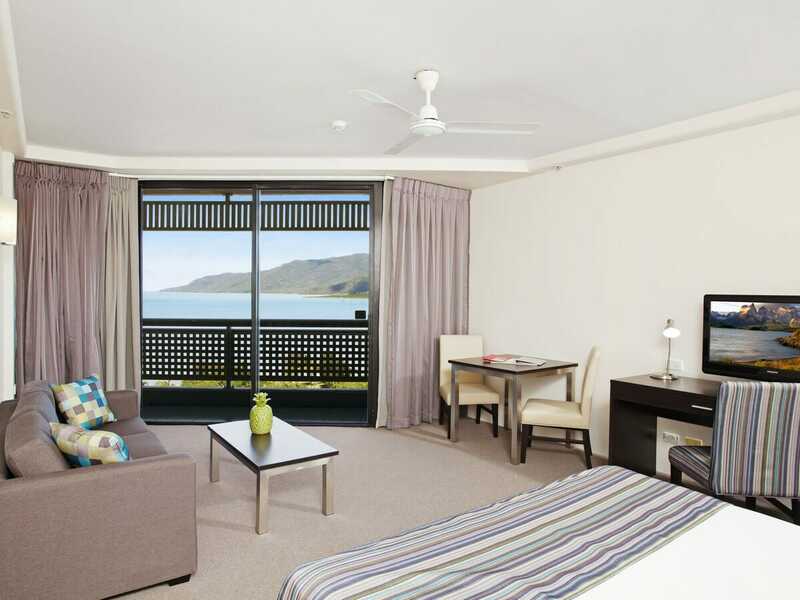 The rooms at Rydges Esplanade Cairns Resort are spacious, contemporary and have been designed with your comfort in mind. Whether you’re after a romantic tropical getaway or your annual family trip, there will be a room type to suit. There are rooms overlooking the Coral Sea and rooms with views of the Esplanade; rooms designed specifically for families and apartments equipped for an extended stay. Each one features a private balcony to make the most of the views, free Wi-Fi to stay connected, 24-hour room service and much more! If you’re after a little indulgence on your holiday, in-room massages can be arranged too—all you have to do is ask! The facilities are exceptional at the Rydges Esplanade Cairns Resort. There are three pools waiting for you dive in and a Health & Fitness Centre, complete with cardio machines, free weights, a spa and a sauna! 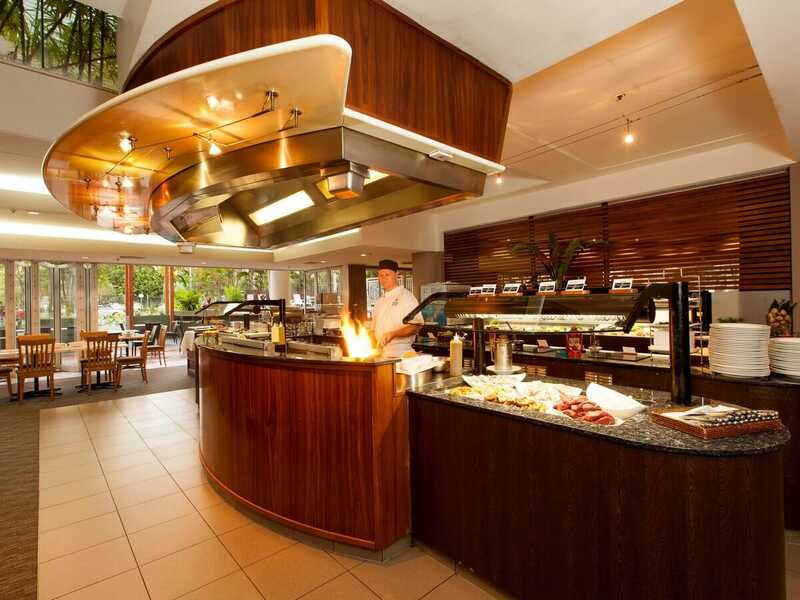 Tantalise your taste buds at the resort’s on-site restaurant and bar, Coral Hedge Brasserie (CHB). The restaurant is open for a full buffet breakfast and offers an all-dining menu with light meals, snacks and tapas. Dinner at CHB is an experience like no other. Treat yourself to the Fire & Ice Seafood Buffet, operating 7 nights a week. Enjoy a range of hot and cold dishes, select from the array of meats and seafood and watch in awe as the chefs cook it right in front of you! 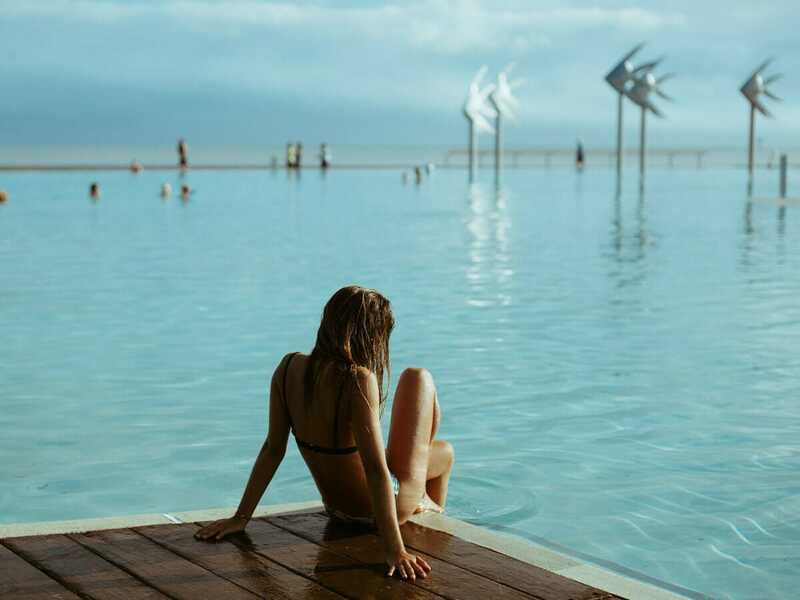 There’s no better way to experience the Tropical North than with a good view, ultimate comfort and a stomach full of delectable food—you’ll get all that and more at the Rydges Esplanade Cairns Resort! ^^20% off Food & Beverage – When joining Priority Guest Rewards on arrival. Discount for beverage only applies when purchased with meals. Please select from the calendar to be automatically shown availability for a particular travel date. The numbers under each day listed are actual available rooms for each day subject to blackout dates below.